Coming up with the right price when selling your home is a balancing act. You want to ask for as much as possible, but not so much that you turn away potential buyers. You also don’t want to cheat yourself with a price that’s lower than your home’s worth. 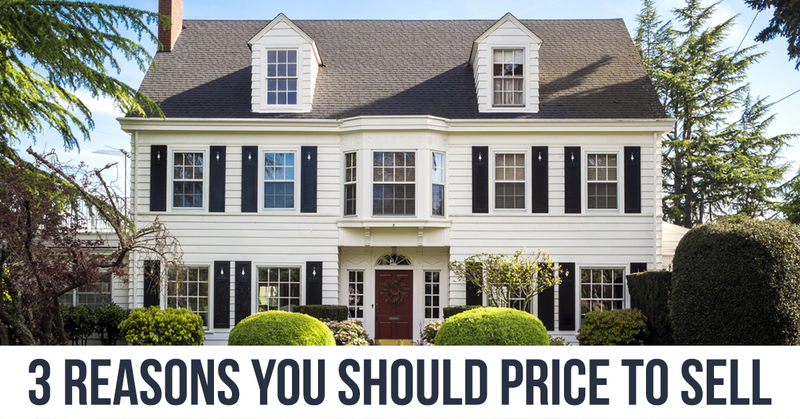 The “right” price is one that’s in tune with what similar homes are selling for in your market. It’s a figure that you and the buyer agree accurately reflects the home’s value. If you’re working with a real estate agent, the agent can help you evaluate the market and resist the temptation to overprice your home — or give in to your fears and underprice it. Some sellers may be tempted to ask for more than market value — even if they’re willing to accept a lower offer — just to see if there are any takers at the larger number. But this strategy can backfire if sellers price their home out of range of potential buyers. Say your home’s worth $299,000 according to your market research, and you’re willing to sell for that amount. But you list at $315,000 to see if anyone makes an offer at the higher price. A serious buyer may have a budget of $299,000 and so search online listings only for homes priced through $300,000. That buyer may not even see your home unless you lower your asking price. It’s better to price your property right from the start to maximize the number of qualified buyers. In a hot market with many buyers, a fairly priced home could receive multiple offers because people recognize it’s a good deal. It may even spark a bidding war that drives the final offer above your asking price. But an overpriced home could scare away some of those buyers, who may think that they’re dealing with an unreasonable seller. You may be willing to sell your house for less, but a buyer may not even bother to make an offer if the home’s overpriced from the start. It’s even worse in a cooler market, one that has few buyers. The home will remain for sale with no takers until the price moves low enough to attract a buyer. And that means the seller is wasting time by offering a home at an artificially high price. If a home doesn’t sell within 30 days, it’s a good indication that it’s not priced right, according to the National Association of Realtors. In addition, research suggests the longer a house stays on the market, the lower its final selling price will be. Sellers may end up making less money than if they’d priced the house correctly when it first listed. You don’t want to price a home too high, but you don’t want to go too low, either. Then, a potential buyer may wonder if something is secretly wrong with your property. If you offer your home for a fair price, one that’s similar to comparable sales in your neighborhood, a buyer may feel better about the transaction. The buyer may reason that if you’ve done your homework on pricing, you’ve also done your homework on making sure the home is in good condition. You can look at recent sales for comparable nearby homes to get an idea of your property’s market value. Your real estate agent has access to a database of recent “comps” with this information and can give you an estimate of a reasonable price. You’ll also want to know how long these homes were on the market, and whether sellers had to reduce their initial prices in order to sell. It’s also a good idea to look at online estimates from home websites such as Zillow and Redfin. The value these sites estimate for your home may not be an exact match to its true market price, but buyers are likely looking at these online estimates. If the estimates are off base, the sites will generally let you edit information about your home, which could lead to an adjustment. When you want top dollar, it’s smart to have the right price the day your home goes on the market. When you offer your home at its true market value, you’re giving yourself the best chance to get a good offer in a reasonable amount of time.